Mr. Regan is extremely well known and active within the logistics industry. He serves on the Boards of numerous industry groups such as the American Society of Transportation & Logistics, where he is a Distinguished Logistics Professional (DLP), National Industrial Transportation League (NITL), the National Shippers Strategic Transportation Council (NASSTRAC), where he is the Chairman of the Advocacy Committee, and the Transportation Intermediaries Association, where he served as Chairman of the TIA Foundation. He is also very active in several key industry organizations, such as the Council of Supply Chain Management Professionals (CSCMP). Mr. Regan is also the Chairman of the Board for Supply Chain Edge. Mr. Regan is very active w ithin other professional organizations as well. He is a graduate of YPO where he was a Chairman of the Chicago Chapter and served on the International Board of Directors. He is a current member of WPO, CEO and is a founding Member of and served on the Board of Directors for L3. He has received numerous industry honors: 1995 inducted into the Chicago Area Entrepreneurial Hall of Fame and recognized as a Finalist in the Ernst & Young’s Entrepreneur of The Year Contest; 2002 named Delta Nu Alpha’s Transportation Professional of the Year; 2003 named one of the 100 Irish American Executives in Irish America Magazine’s “Business 100”; 2005 named by DC Velocity as a “Rainmaker”; named “2005 Executive of the Year” by the National Industrial Transportation League; “2008 Member of the Year” by NASSTRAC; and 2014 recipient of the Distinguished Service Award from CSCMP. Prior to starting TranzAct, Mr. Regan worked for the Bank of America, PriceWaterhouse, and the Union Pacific Corporation. 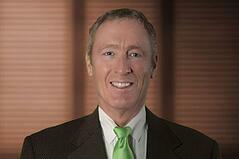 Mr. Regan is a licensed CPA and has a BSBA from the University of Illinois at Champaign-Urbana.